Last week, Europol released its European Union (EU) Serious and Organised Crime Threat Assessment 2017 (SOCTA 2017)1. The SOCTA is “Europol’s flagship product providing information to Europe’s law enforcement community and decision makers. It serves as the cornerstone of the EU Policy Cycle for Serious and Organised Crime.” The report serves to inform member states on key priorities that Europol feels require inter-state cooperation to effectively combat. The 2017 report identifies about 5,000 international organised crime groups currently being investigated in the EU. That number is up from 3,600 groups in 2013. But the 2107 report is interesting for another reason. For the first time, it calls out fuel fraud as a growing phenomenon amongst these organised crime groups. The linkage between organized crime and fuel fraud is not a surprise to Authentix. We have been a quiet partner to over a dozen foreign governments in the last twenty-years, helping them shut off the supply of illegal fuel to fund organized crime. The illicit trading of fuel has many names: fuel fraud, fuel piracy, and fuel smuggling just to name a few. Most people, especially in the developed world, may never have heard these terms or realized that fuel fraud is such an important problem to solve. The illicit trade of refined fuels is estimated to be valued at $100B2, and fuel is the #1 most smuggled natural resource in the world. If you happen to be reading this in the United States, you may be interested to know that the IRS estimates that 10% of our $23B downstream fuel market illegally crosses state lines to take advantage of lower taxes and higher selling prices in neighboring states. 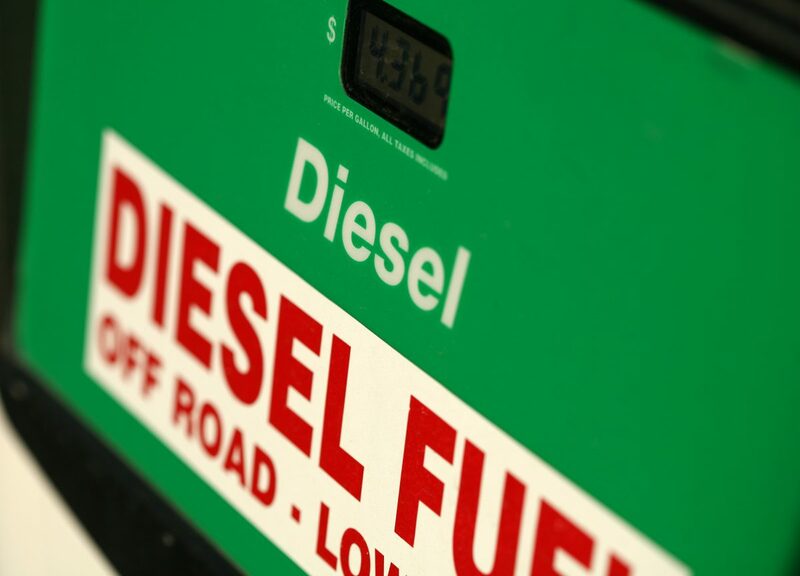 The United Kingdom knows all too well the correlation between fuel smuggling and organised crime as it has marked fuel traveling between Ireland and England for over 15 years to crack down on illegal funding of the IRA. The European Union estimates it loses $4B euros a year in excise tax revenue on fuel smuggling. Thus, fuel fraud is not just a challenge in emerging economies but very much a problem in developed economies. What is fuel fraud? Fuel fraud involves the dilution, adulteration, or smuggling of fuels to exploit price arbitrage conditions in a market. When taxes and/or subsidies create a large difference in prices between fuel products, unscrupulous parties can take advantage of this price arbitrage by perpetrating various fuel frauds to funnel huge profits into their coffers. The schemes typically fall into two categories: tax evasion and subsidy abuse. In tax evasion, higher-priced taxed fuels are diluted by lower-priced fuels. The resulting mixture is sold as authentic high value fuel. When this scheme is carried out in countries that have both a subsidized and taxed fuel, it can result in government revenues being stolen twice. The government loses the taxes on the higher-priced fuels and pays for the volume of subsidized fuels used for the dilution. In addition, lower-priced subsidized fuels can be transported across national borders into countries without subsidization programs, and possibly even high taxes on the smuggled product. While counterfeit drugs and designer goods gain large headlines, the billions of dollars of public funds being misappropriated by fuel fraud goes largely unreported. Stopping this activity, whether it is subsidy abuse or tax evasion, results in immediate positive financial impact on a governments budget without reducing a subsidy or increasing the tax burden of its citizens. When a government employs a successful strategy to curb fuel fraud, the benefits are not limited to fiscal policies. A large source of funding of organised crime and terrorist groups is cut off. It also stems the negative impact that fuel fraud has on the environment by ensuring the fuel supply in the country is unadulterated, leading to cleaner burning and better running engines in the country. Authentix has been working with national governments and Oil Marketing Companies around the globe and has covertly marked over 1.5 trillion liters of fuel. In our experience, the cost of deploying and enforcing a covert fuel marking program returns value orders of magnitude on the investment. It is not uncommon for Vigilant fuel marking program to return USD $100s of millions in lost revenue in a year. To start combatting the illicit trade of fuel visit https://authentix.com/offerings/vigilant/. 2. “How Chemistry is Helping Defeat Fuel Fraud,” Alex Scott, Chemical & Engineering News, Vol. 94, Issue 5, pp. 20 – 21.